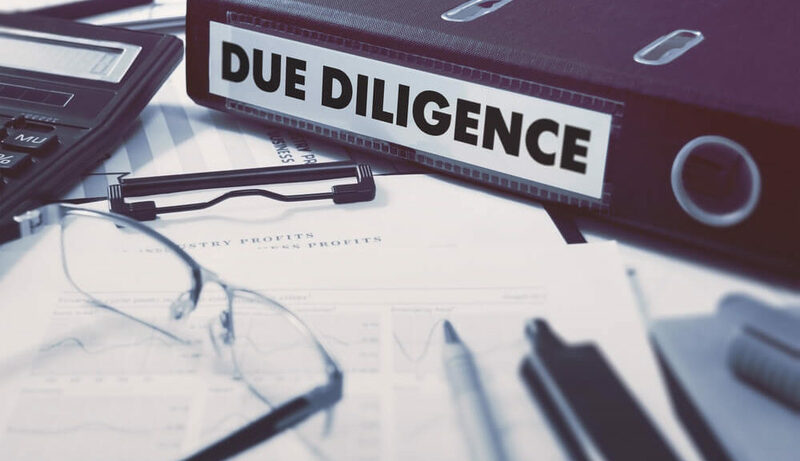 Indicators of Opportunity: The following indicators show the items we look for in our initial due diligence site visits. They represent the smoke that lets you know there is a fire. If any of the following are true, your company has the ability to make meaningful improvements in variable costs and EBITDA. Period. The company does not maintain a closed-loop metric system. The company does not post visible metrics. If you can’t measure something, it doesn’t exist. This may seem to be a strong statement, but it is hard to overestimate the impact of measuring performance, conducting root-cause analysis, and implementing corrective action. Companies that do this show continuous improvements. Companies that don’t will go backwards. No one stays stagnant – you either get better or you get worse. We often see a 10- to 15-percent improvement in performance when we start effectively measuring it. No defined sourcing strategy. For many manufacturing and distribution companies, the cost of purchased goods and services is 60 to 80 percent of the cost of goods sold. Yet, much of this spend is set up and managed by relatively low-level clerks and untrained buyers. If a company does not have documented sourcing strategies, it is an indicator that there is significant opportunity to better utilize their leverage with suppliers. Sourced materials have not been competitively bid in the last three to five years. Perhaps counter intuitively, we have found evergreen (ongoing) contracts to indicate that the company does not test the market and leverage their volume and position to their full advantage. Some companies do put specific and narrow needs out to bid. Either of these signals potential to improve the cost of goods purchased and related items. The company does not measure supplier performance. In a tightly run plant, suppliers have to deliver exactly what is needed when it is needed. No room for inspections, late deliveries, inaccurate picks, or defects. Companies that do not maintain a closed-loop system on supplier performance cannot maintain a high level of performance. Sourcing agreements are not documented or are limited to pricing terms (excluding issues such as order management, inventory management, hedging, allocation, future pricing, etc.) Regardless of who you are and how big your company is, your suppliers’ resources dwarf your own. Effectively negotiating with your suppliers sets up your ability to leverage their resources to your benefit. If the company limits their negotiation to pricing terms, they are missing out on significant value. If the agreements are not documented, it is another sign that sourcing needs further investigation. Inbound freight costs are buried in product costs. A common answer to “Who pays freight on incoming shipments” is, “Oh, well, freight is free.” We often find that suppliers build profit into freight charges. Unbundling freight costs can lead to significant improvements. Schedule attainment is not measured. One of the first questions we ask a plant manager during a tour is, “How are things going?” If they respond, “Great, all the machines are running” or “Our efficiencies are well over 100 percent”, then we know they are likely scheduling the plant based on a “push” methodology. There is a good likelihood that they are building schedules to minimize changeovers and downtime. Measuring schedule attainment is most common among higher-performing companies that run the plant to fill customer orders or on some type of pull system. Invoice accuracy/denials/ chargebacks are not measured or tracked. Credit memos, chargebacks, denied claims, and inaccurate invoices all show potential buckets of improvement. If the company does not actively track and measure these items, it is unlikely that they are well managed. E&O reserve is insufficient to cover actual levels. Excess and Obsolete inventory is a target-rich area. Any of the following situations can indicate that the company can reduce the amount of E&O inventory it creates through ongoing operations: -The company does not measure or track E&O. - The company does not perform root-cause analysis and corrective action processes on E&O. -An aging of the inventory shows balances in excess of one year that exceed reserves. Forecast is not measured or is low quality. Often, companies that do not have the discipline to forecast well put unnecessary burdens on operations. These burdens lead to E&O inventory, overtime, downtime, expediting costs, and chaos. If forecast accuracy is low or not measured, the company is likely not managing this area effectively. Service levels are low. There are rare instances that require a company to provide poor service and quality levels to their customers. If a company does not have an industry-leading perfect order level, has longer lead times than competitors, or has high scrap/warranty costs, then there is likely a significant opportunity to improve operations and EBITDA. Service levels are buoyed by high inventory levels. One easy method to lift service levels is to increase inventory. This approach, however, leads to many costs and problems. If a company has competitive service levels, but holds more inventory than others in their industry, there is opportunity. Significant work in process (WIP) and overproduction. Work in process may not be evil, but it is close. When we tour any factory or office, we look for WIP in front of machines, in warehouses or in inboxes in the office. Any of these can indicate unbalanced lines and processes. Putting lines and processes into balance leads to cost, service level, inventory, and lead-time improvements. The company has not conducted a value engineering exercise. We know that lean manufacturing and process re-engineering can work to dramatically improve cycle times and lead times, and lower the costs to process paperwork, products, and services. The same mindset can be applied to the product design itself. Design for manufacturing, value engineering, or similar methodologies can dramatically improve the landed cost for an item. Variation If anything is worse than WIP, variation might be the thing. If a company does not measure variation in scrap, quality, cycle times, warranty costs, or key specification measures, the opportunity could be significant. When variation is reduced, costs go down. Plant observations of the “7 Wastes” - defects, overproduction, inventory, transportation, waiting, motion, extra processing These items represent the most fundamental items to observe during the plant tour and to have management communicate their views on the measurement and management of these wastes. Individually, these items can be identified and quantified for focused improvement efforts. Collectively, they represent the cornerstone of any operational excellence initiative to enhance profits, service, and morale. Today, we’d like to showcase an alliance partner that could rock your world: Big Swift Kick. Big Swift Kick specializes in sales consulting and sales-force-optimization. Their mission dovetails naturally with ProAction’s, because where we find ways to reduce your wasted inventory and improve how your portfolio company fills orders, Big Swift Kick’s focus is on maximizing your organic growth. If you’ve come to us, slow or stagnant growth is probably already a source of frustration for you. You’re convinced your company should be thriving, but you can’t find the problem, and you’re starting to wonder how well your sales team really knows your customers. You may even have brought in a consultant to track down issues in the sales department and implement new strategies, with limited success. We’ve found that Big Swift Kick is remarkably effective for firms with $20 to $500 million in annual revenue. Management portfolios that avail themselves of BSK’s services typically experience several common issues with regard to their stale portfolio companies: leadership is spending too much of their valuable time micro-managing sales. They worry about lagging sales growth and pricing stability. And they can’t seem to get answers from the management team about why sales numbers are off. Big Swift Kick’s motto is “Exponential Growth Using Science and Candor,” and they aren’t kidding. 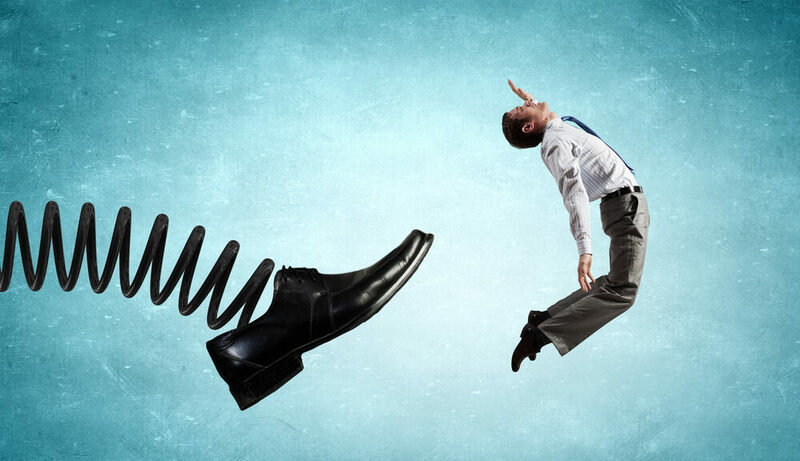 One topic they’re frank about is why past consulting firms may not have been effective for you. In their experience, experts become biased in favor of their preferred solutions. They arrive expecting to apply them. As a result, you pay for a “one-size” solution, when your company needs anything but. Big Swift Kick doesn’t mince words about this. According to them, no one who offers you a “solution” without a thorough diagnostic has any business giving you advice in the first place. In contrast, Big Swift Kick takes a more holistic view, with no pre-diagnosis. They also have an innovative way of ensuring radical honesty during the consulting process. They use a performance-based pricing model. They’re the only consulting firm we know of that does business this way, and it knocks down barriers you didn’t even realize existed. BSK will challenge you on the areas where your underperforming company is dragging its feet, because total honesty is the surest route to success for all parties, themselves included. We can tell you from experience that the team at BSK are savants. Their remedies will surprise you, and challenge your thinking! Big Swift Kick keeps their ongoing client roster small, so they can provide plenty of personal attention. Their reports are detailed– as much as 100+ pages per sales rep! They’ll evaluate your sales force and approach to show you a clear path to increasing organic sales, then develop and implement a plan to make your company sales superior. BSK understands that you have targets to meet. They keep changes incremental, so you don’t have to survive a major disruption to your sales operation. Building the best sales force can be like throwing spaghetti at the wall. It’s hard to tell what’s working and what isn’t. Big Swift Kick provides the intel, the strategy, and above all, the candor to get your portfolio company on the right track. We’re proud to be partnering with this innovative group of people.